﻿A Taiwanese appetizer made with tender braised beef and paired with cucumbers, cilantro and hoisin sauce. 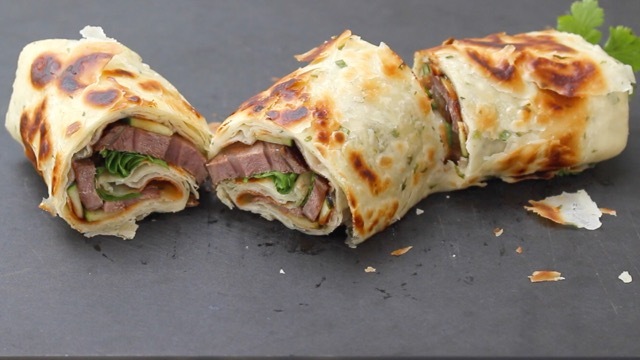 These beef rolls (牛肉捲餅) are a delicious combination of sweet and savory. 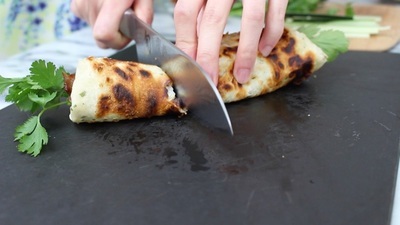 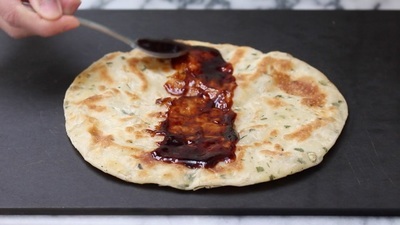 Sometimes these are made with a regular pancake roll, but I like to make mine using Scallion or Green Onion Pancakes for extra flavor. 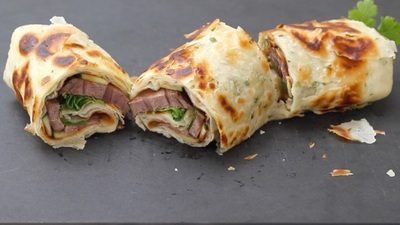 Putting the beef rolls together is as simple as preparing and assembling all the ingredients. 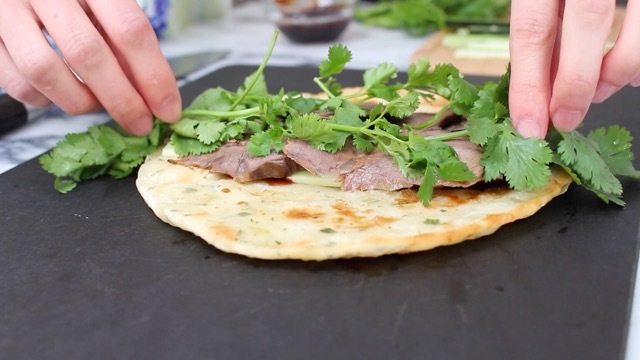 I recommend starting with frozen pre-made Green Onion Pancakes, along with Taiwanese Braised Beef Shank cooked in advance (both of which I have recipes for). 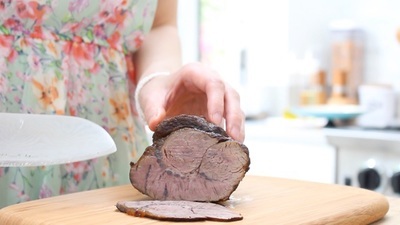 Once you have these 2 main ingredients prepared, the rest is simple and very easy to put together, which makes this a great party appetizer and a very impressive pot luck dish. Ready in Total Time: 15 min. Assemble the beef roll, cut, and serve!